Google may be the world’s largest search engine, but that doesn’t mean it’s the safest. Every search you make is logged, stamped and recorded, which means every question you’ve ever asked, every search you’ve ever made is kept in some backlog repository. In fact, Google’s known to track more than just your search queries; everything from your IP address, your personal phone number, unique hardware identifiers and more are collected for private use. Fortunately, there are other options available. 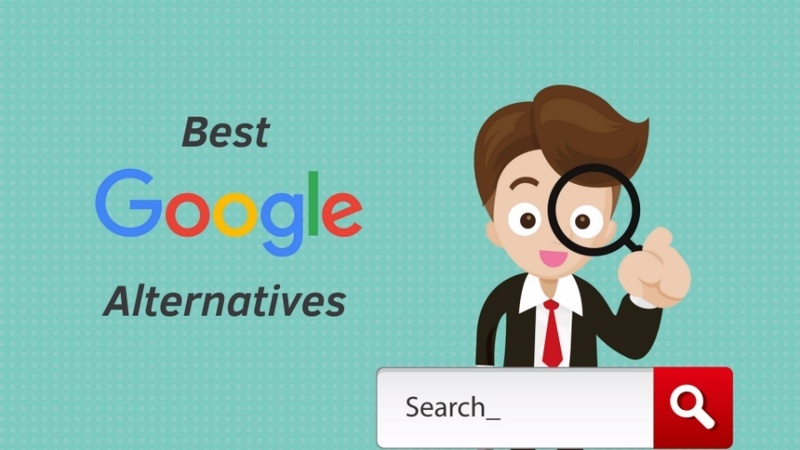 If you want to preserve your privacy and browse the web without having to worry about your habits being tracked, here are six alternative search engines that work just like Google but don’t keep logs. Arguably the most well-known private search engine, DuckDuckGo has made a name for itself due to the owners’ staunch stance on privacy. This search engine works the exact same way as Google, offers roughly the same results, and is 100% anonymous. Launched in 2008, the search engine has grown to become one of the biggest in the world. With more than 30 million individual searches a day, it’s a strong contender for the world’s best overall search engine. Note that DuckDuckGo generates revenue solely from advertisers and affiliates, so unlike Google, they don’t make money off your search history. This nifty private search engine actually uses Google’s algorithms, thereby offering the same search results without having to worry about your data being tracked. As an offshoot of Ixquick, which in itself is an independent search engine, StartPage basically offers all the conveniences of Google without any of the added baggage. The service itself has become extremely popular over the last few years due to its strong stance on user anonymity. The only downside is that because this search engine essentially reroutes your queries, the results may sometimes be a little slower than others. If you like the search engine, you should also try the company’s new private email service, StartMail. This search engine is essentially an amalgamated version of other popular search engines (Google, Yahoo, Bing, etc.) that generates the same search results but never tracks your browser in the process. What once started as a side project, Disconnect Search was actually built by Ex-Google and Ex-NSA engineers and places a heavy emphasis on the importance of anonymity. Unlike other options, Disconnect Search offers its own handy browser extension that actually lets you browse by location. This means you can tailor your search results without having to worry about your exact location being logged in the process. An extremely robust service, Search Encrypt lives up to its name. By using powerful AES encryption protocols to protect and secure your searches, this option ensures each and every search query you make is private. It offers the same layout as Google (with options for image searches, news searches, etc.) and is constantly rolling out new features to help improve its overall functionality. As a relative newcomer in the search engine field, Search Encrypt is definitely one to keep an eye on. Founded in France in 2013, Qwant is a powerful search engine that places a strong focus on protecting user privacy. Because this particular search engine is based in the EU, they adhere to stricter privacy rules. Much like how other search engines work, Qwant has the ability to narrow your search results down by specific topics. Perhaps even more impressive is just how quickly the service is growing. With an estimated average of nearly 21 million monthly searches, Qwant has more than doubled its traffic in a single year. This Swiss-based private search engine uses AI to evaluate the contents of your searches in order to point you to the best results. That means that unlike other search engines, this one gets better over time. With a heavy focus on user anonymity, Swisscows offers a new take on the traditional search engine that may admittedly be a bit of an acquired taste. That said, if you’re able to take the time to really use it, then this one could end up being your new go-to.